Supporting printed materials for a high profile charity ball and silent aution. Children in Crisis was set up in 1993 and their focus from day one has been the well-being of children who have fallen through the cracks. They rebuild education systems and ensure that all children, whoever or wherever they were born, receive the loving care they need. 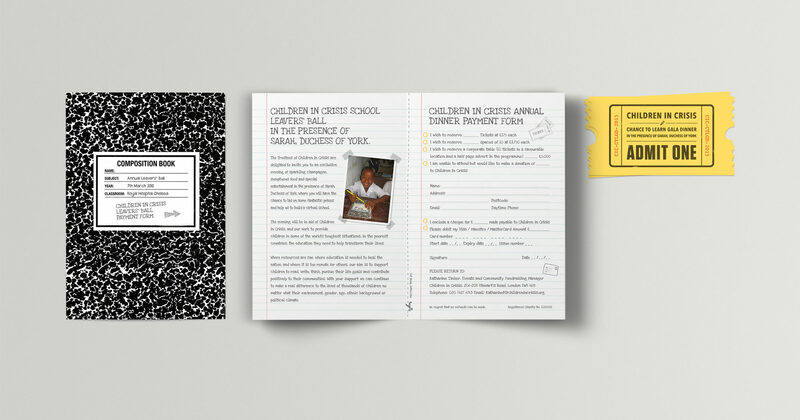 We were approached to design the supporting printed materials for a high profile charity ball and silent auction. This included the multi-page programme, tickets, invitations and donation forms. 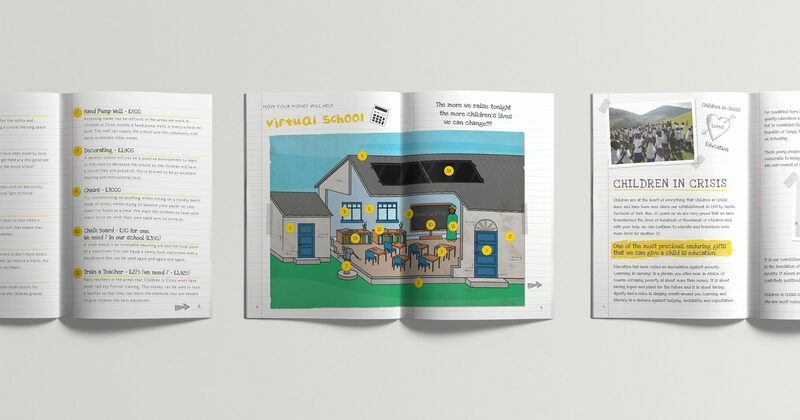 The design concept was based around the basic education tools that every child should have and the charity aim to provide.